Home Cover Presidential Race: Who Wins? THE election time is here. In about a week from now, Nigerians are going to the polls to elect the next president who will lead the country for another four years right from May 29. Interestingly, there are 72 candidates interested in the plum job. There is President Muhammdau Buhari, the incumbent president and the candidate of the ruling All Progressives Congress, APC. There is also former Vice President Atiku Abubakar of the main opposition Peoples Democratic Party, PDP. Both Buhari and Abubakar are veterans in the presidential race with several years of experience to their credentials. Their parties are also the biggest in the country. The others, who are well known in their own right, can be regarded as greenhorns in the contest. A good number of them have proved their mettle in their various fields of calling and all of them are knowledgeable about the problems facing the country and would want to proffer solutions to them. But they are not part of the established parties with great followings that might help them in the race. Besides, most of them are from the Middle Belt, South-West and South-East whereas the unwritten agreement among Nigerians is that the North should produce the next president to allow the region to fill its quota of ruling the country for unbroken eight years. This has somewhat put the likes of Kingsley Moghalu, the presidential candidate of the Young Progressive Party, YPP, at disadvantage, despite his ideas and the great appeal he has with the Nigerian youths who may want him to elect him president. This does not seem to dampen the enthusiasms of Femi Aribisala, a newspaper columnist, who sees Moghalu as the next Nigerian president. In an article, “Kingsley Moghalu: Nigeria’s Next President” published by Premium Timeson Tuesday, February 5, Aribisala wrote about his subject: “Kingsley Moghalu is the Nigerian Barack Obama: a youthful upstart who dared to confront the ancient juggernauts of the Nigerian political establishment. When he started his journey, he met skeptics along the highway. Many were convinced the APC and the PDP are too entrenched to be dislodged from their traditional supremacy. Others felt his timing was misplaced: Why could he not wait until 2023 when there would be a more open field without an incumbent president? “But it is increasingly clear, from the popular response to his candidacy and from the incredible coalitions he has been able to make, in North and South of the Niger, that Kingsley Moghalu is about to confound all expectations by not only dislodging an incumbent president, but by also becoming the very first Nigerian president of South-East extraction.” With the current turn of events in the polity, Aribisala’s prediction looks a forlorn hope. Indeed, at the time the Independent National Electoral Commission, INEC, released the list of 72 candidates vying for the president on Thursday, January 17, the Social Democratic Party, SDP, was still in court over the rightful candidate to fly the party’s flag. The rift over the presidential ticket is between Donald Duke, a former governor of Cross Rivers State, and Jerry Gana, a former Information minister. On Thursday, January 24, the Federal Court of Appeal in Abuja, ruled in favour of Duke as the party’s presidential candidate. No doubt, the squabble over who gets the party ticket is likely to affect the chances of the party during the time of elections. Besides, Gana is not a man who would want to let go quietly. He has promised to challenge the decision in the Supreme Court, but whether that is going to affect the election is a matter of conjecture. But the real issue is that neither Gana nor Duke is capable of winning the presidential race as the nation’s politics stands today. In any case, notable among those still in race are Omoyele Sowore of the African Action Congress, AAC; Sina Fagbenro-Byron of the KOWA Party; and Fela Durotoye of the Alliance for New Nigeria, ANN. Others include Eunice Atuejide of the National Interest Party, NIP, who happens to be the only woman now in the race; and Obadaiah Mailafia of the African Democratic Congress, ADC, among several others. Even then, Nigerians have consciously and unconsciously seemed to have narrowed the battle for the president down to a contest between Buhari and Abubakar. So, it is not out of place that the two gladiators are the most visible and stories on them have been dominating the media. As expected, the two candidates have been crisscrossing the country on campaign, gathering supporters here and there. Perhaps, based on their respective performances, the two parties also have been receiving endorsements from various groups and individuals. On Sunday, February 3, some socio-political organisations in the country endorsed Abubakar. The five organisations are the Northern Elders Forum, NEF, Pan-Niger Delta Forum, PANDEF; Middle Belt Forum, MBF; Ohaneze Ndigbo and a faction of Afenifere. The organisations endorsed Abubakar at a summit with the theme: “The Search for Credible, Free and Fair Elections,” held at Sheraton Hotel and Towers, Abuja. Among those at the event were Ango Abdullahi of the NEF; Edwin Clark, the leader of PANDEF; Ayo Adebanjo of the Afenfere group; John Nwodo, the president-general of Ohaneze Ndigbo and Bitrus Pogu of the MBF. Consequently, the socio-cultural groups urged Nigerians to vote for Abubakar, noting that he would bring the change desired by the country. The leaders said after assessing the credentials of the leading presidential hopefuls, they came to the conclusion that the PDP candidate had the capacity, ability and integrity to reposition Nigeria. Besides, they said Abubakar has committed himself to restructuring the country if given the mandate, while they accused Buhari of not showing interest in restructuring the country despite the setting up of a committee headed by Governor Nasir El-Rufai of Kaduna State by the APC. The leaders of the group who took turns to speak also accused the president of not doing enough to tackle the security of the nation and causing constitutional crisis. Reacting to his endorsement, Abubakar said it was a loud statement that there was hope for the country. In a statement, the PDP candidate said, if elected, he would lead a Pan-Nigeria team that would lead Nigeria to a greater height. “I am moved to tears that in the midst of deep divisions and deliberate use of instrumentalities of state to set our people against themselves in the last three and a half years, responsible and respected leaders across Nigeria have agreed to come together for the purpose of endorsing my candidature for the February 16th, 2019 presidential elections,” he said. The PDP candidate said the endorsement was a loud statement that there is hope for the country as the nation goes to the polls on Saturday, February 16. “Today, we put aside all our prejudices to elect a president with religion and ethnicity playing no role in our elections. I profusely thank our leaders across the country who have created this wonderful moment for us to come to the table of brotherhood. Once again, and in the words of our old National Anthem, we can proudly sing: “Though tribes and tongues may differ, in brotherhood we stand,” Abubakar said. He thus, assured that if elected he will run an all inclusive government. But in a swift reaction, the Presidency said Abubakar’s endorsement by the groups would not stop Buhari’s victory at the poll. Garba Shehu, a presidential spokesperson, said the president won in 2015 despite a similar gang up against him. “The Peoples Democratic Party is hiding in the bunker of ethnicity to avoid their inevitable defeat but that won’t change anything,” Shehu said in a statement on Sunday, February 3. “The current scenario resembles efforts to stop Muhammadu Buhari in 2015 by the same characters. It is an effort to repeat the old experiment that failed in 2015. They failed to stop him from coming to power in 2015 and they will fail yet again on February 16th,” the president’s spokesman said. The endorsement by both the Afenifere and Ohaneze seems to have caused division in the two groups. When the Ohaneze endorsed the PDP candidate two weeks earlier, Uche Okwukwu, the general-secretary of the Ohanaeze Ndigbo Worldwide, kicked against it and endorsed Buhari for a second term. Okwukwu’s action later led to his suspension by the Ohaneze hierarchy who said it was the collective decision of the group to endorse Abubakar, whose running mate is Peter Obi, a former governor of Anambra State. The crack over the endorsement of Abubakar by the Afenifere became more pronounced on February 5, when Ayo Fasanmi, a nonagenarian leader of the group, described the Reuben Fasoranti-led faction of the group, which endorsed Atiku, as political jobbers, who should be ignored. The elder statesman was quoted as saying: “All Yoruba race across South-West are solidly supporting the President Buhari candidature, except a group of dollar and naira called fake Afenifere who endorsed Atiku Abubakar. They are people with no electoral value and credence in their respective polling units not to talk of the Yoruba land. The Second Republic senator said this while addressing audience at the 12,000-capacity Ekiti Parapo Pavilion, Ado-Ekiti, the state capital, where the APC held a rally for the re-election of Buhari on Tuesday, February 5. In a similar reaction, Femi Adesina, a special adviser to the president on Media and Publicity, has insisted that Abubakar will not win the presidential election even if witches and wizards endorse him. The presidential aide made the statement shortly after reports emerged that Abubakar had secured an endorsement from five socio-cultural groups in the country as well as another endorsement from a sect called the Association of White Witches in Nigeria, AWWN, which accorded support to the PDP presidential candidate after several meetings which they claimed to have had on Obudu mountain and Zuma rock. Adesina, who dismissed the endorsements writing via his Twitter handle on Monday, February 4, said the PDP presidential candidate will fail during the elections, no matter whose endorsement he gets. 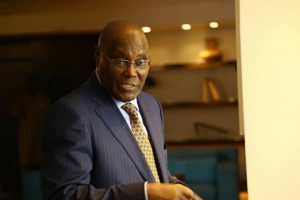 “NEF, PANDEF, Afenifere, others endorse Atiku. Let witches and wizards also endorse, if they like. The harder they come, the harder they fail. No beating the Nigerian people,” he tweeted. Nevertheless, the presidential ambition of Buhari received a boost with a reported endorsement by retired military officers in the Nigerian Army, the Navy and Air Force. 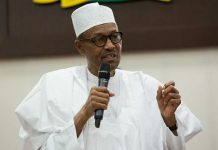 A report by Daily Sun said those who endorsed Buhari for a second term include 13 Major Generals, eight Air Vice Marshal, AVM; two Rear Admirals, RA; 12 Brigadier Generals; nine Air commodores, eight Commodores and 17 former military administrators. The report said some of those who attended the event where the endorsement held include Caleb Olubolade, a retired Navy captain and former President Goodluck Jonathan’s minister of Police Affairs, and Jubril Ayinla, a former Chief of the Naval Staff, CNS. Notwithstanding the kind of endorsement being received by them, the candidates themselves have also been selling their programmes of action to electorate to canvas for votes. So far, and as much as possible, the electioneering campaign has been a mixed bag, based on issues, accusation and intimidation. But anyone with discerning mind would only concentrate on issues of jobs, development and welfare, which are central to human development. As an incumbent, Buhari has had this to say: “I will take Nigeria to the next level.” If elected, the president has promised to pursue a five-pronged agenda, which includes creating jobs through such efforts as Anchor Borrowers’ Programme, N-Power, improving Ease of Doing Business. According to him, N-Power would engage one million graduates and then there is a promise to skill up 10 million people under a voucher system in partnership with private sector. Two, several millions of jobs are to be created through agriculture, including having the “Anchor Borrowers’ Programme to support input and jobs to one million farmers; Livestock Transformation Plan to create 1.5 million jobs along dairy, beef, hide and skin, blood meal, crops; and Agriculture Mechanisation Policy with tractors and processors to create 5 million jobs,” among others. On the railway, he said he would complete the Lagos-Ibadan-Kano Rail, Eastern Rail (Port-Harcourt-Maiduguri) taking the network through Aba, all South-east state capitals, Makurdi, Jos, Bauchi and Gombe, and the Coastal Rail (Lagos-Calabar). He promises to move broadband coverage to 120,000km of fibre network across Nigeria, after ‘addressing uniform Right of Way charges’, and prioritise Internet access to education, markets, primary healthcare and business clusters. Through renewable, clean energy sources such as solar, he promised to ‘energise’ nine universities and up to 300 markets across the country to have an uninterrupted power supply. On business, entrepreneurship development, Buhari said he would continue with plans towards facilitating business and entrepreneurship, which include ‘people moni bank’, ‘entrepreneurship bank’, easing business process, and MSMEs clinics. He also assured that in his second coming, 35 percent of his appointments will go to females. He also promised to increase the number of youth for appointments to boards of public agencies. On his part, Abubakar has promised: “I will get Nigeria working again.” Specifically, the PDP candidate said if elected he will lift 50 million people out of extreme poverty by 2025 and one million youths to benefit annually from apprenticeship scheme. Other measures to be taken include signing of the African Continental Free Trade Area, AfCFTA, agreement, and mitigate the potential risks; Increase Export Stimulation Fund from N700 billion to N1.5 trillion to enhance access to credit by manufacturers; stimulate the economy to absorb 50 -60 percent of the two million new entrants into the labour market annually; reduce unemployment and under-employment rate to a single digit by 2025 and creation of three million self-and wage-paying employment opportunities in the private sector annually. Besides, Abubakar promised to re-launch the National Open Apprenticeship Programme, NOAP, which will recruit, annually, 100,000 Master Craft Persons, MCPs, who will train 1,000,000 apprentices in various trades; ensure speedy passage of the National Research and Innovation Fund Bill, in order to produce 100,000 entrepreneurs every year; increase the absorptive capacity of the formal post-basic, TVET and vocational centres from the current total enrolment and completion of less than 200,000 students to 500,000 in 2025 and 1,000,000 by 2030. He similarly promised that he will facilitate $250 million SME Venture Capital Fund by the private sector to provide for longer-term capital for targeted small firms and increase the MSMEs funding window currently from N200 billion to N500 billion, among others. That notwithstanding, a prediction by Williams and Associates, posted on its website on Monday, February 4, said that Abubakar will win the 2019 presidential election. The pollster accurately predicted the defeat of former President Goodluck Jonathan in the 2015 election. The prediction is the result of a field work conducted by the pollster. Information posted on the website of the company, showed that it deployed the same methodology used in the 2015 prediction to conduct the field work for 2019 election. The activity was conducted between Friday, January 11 and Saturday, January 16, across all the six geo-political zones of Nigeria. The result of the poll indicated that Abubakar will defeat other candidates in the election with 45 per cent of the total vote cast, 12 percent higher than Buhari, his closest opponent, who got 33 per cent. According to the result, 64 percent of respondents disapproved that Buhari had done his job well enough to deserve re-election. It noted that the contentious issues that will shape the direction of the election are unemployment, poverty, corruption, insecurity in that order. Also, the polls showed that there is an 11 percent improvement on the number of people who will turn out to vote in the 2019 presidential election, over the turn out for the 2015 election. In the same vein, The Economist Intelligence Unit, EIU, Africa has similarly claimed that Abubakar will defeat Buhari in the February 16, presidential election. This was disclosed on the Twitter handle of the organisation on Friday, February 1, with the EIU adding that the margin of victory will not be much. At the time of filing this report, there were no reactions from the Presidency on the pollsters’ prediction. Be that as it may, it is incumbent on Nigerians to elect their president on Saturday, February 16, and barring any unforeseen circumstances, that is what the electorate are going to do with permanent voter’s cards on the day. May the best man win!